In this lesson, you will learn to play the song, Blow Ye Winds of the Morning. 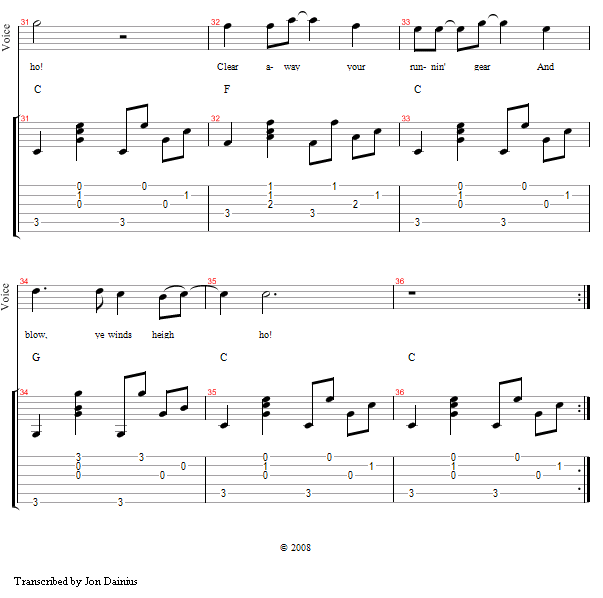 This will give you a chance to work with the new fingerpicking pattern in a specific musical context. See if you can play this song along with me. With some practice, you should be able to do it all on your own. Even if this particular song is not your favorite thing in the world, learning to play it all the way through, up to speed, with good clarity and steady rhythm, is a great way to develop your skills. You can then easily apply those skills to songs of your own choosing. 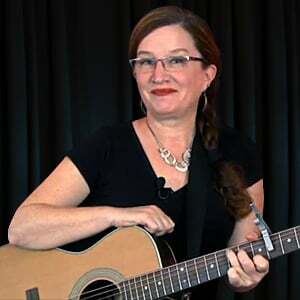 In this lesson, I'll play the song in 2 different keys: the key of A, and then the key of C. If you are using this video as a playalong, this will give you the opportunity to practice the new fingerpicking pattern with a wider variety of chords. You may find one key to be easier for you to play in than the other. And you may find one key to be a better fit for your voice, if you learn to sing this song. A (E) whalin' for to (E) go. (A) Blow ye winds, heigh (A) ho! To board and fit you out. Than the other side of Hell. before you're six months out. A (G) whalin' for to (G) go. (C) Blow ye winds, heigh (C) ho!